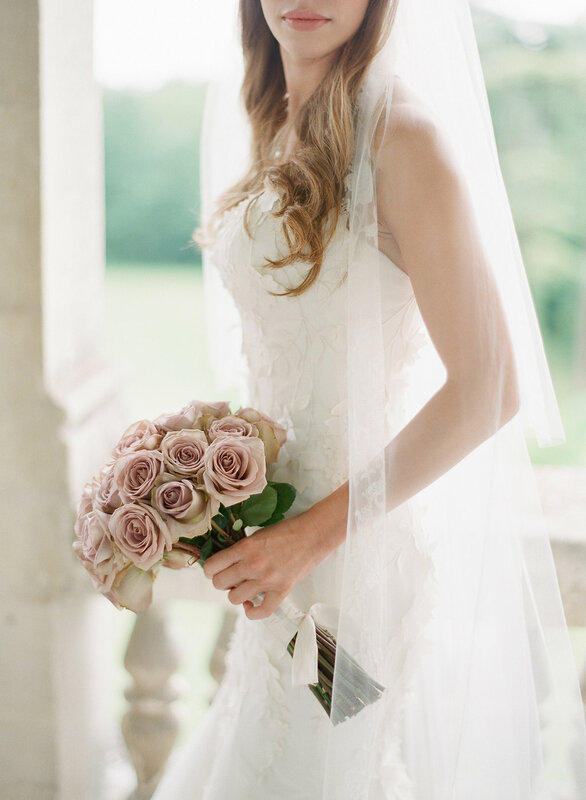 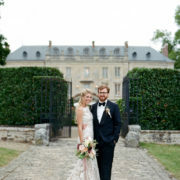 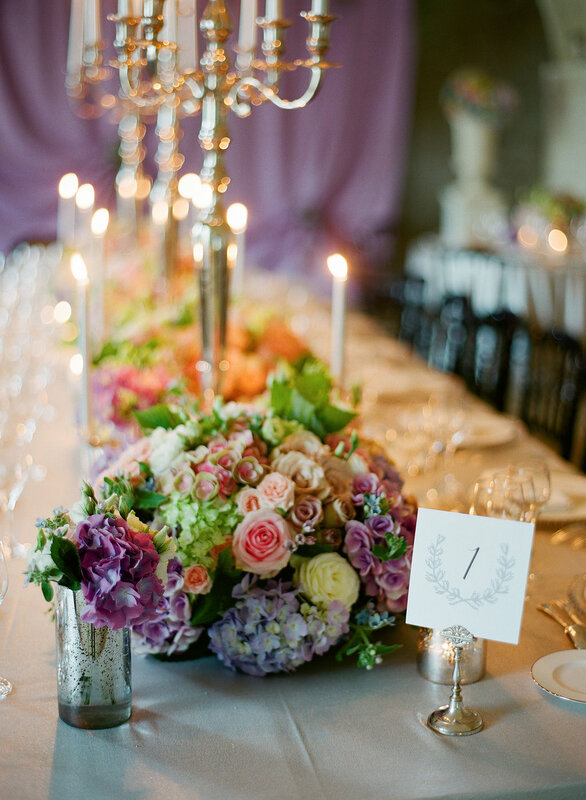 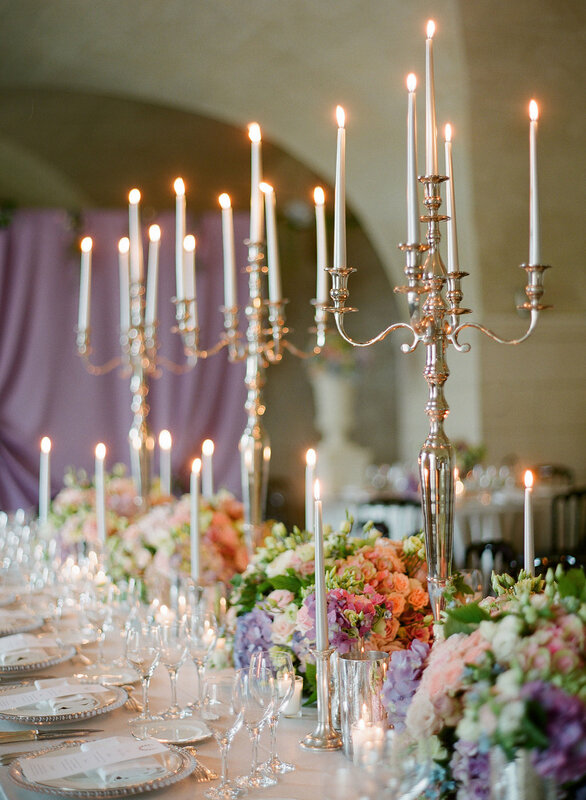 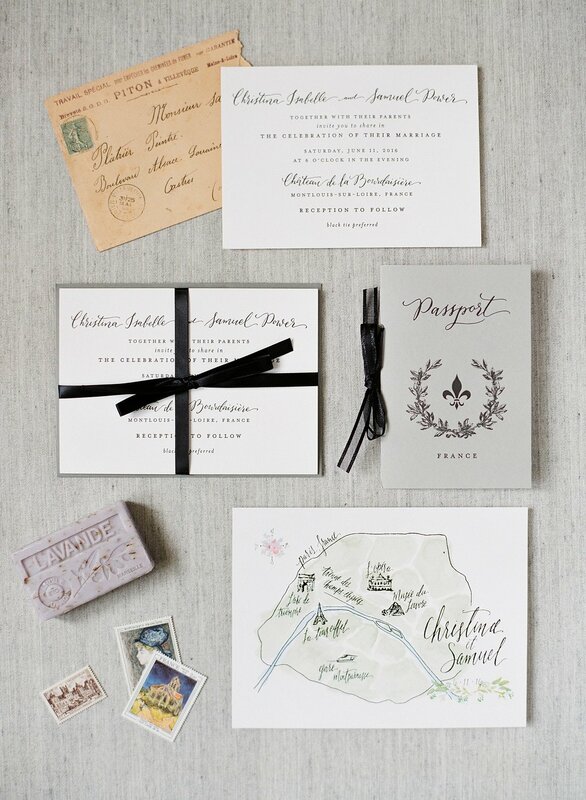 Christina and Sam knew they wanted a French fairytale château wedding and part of the adventure was finding the place that was not too big, not too small, but just right for their celebration. 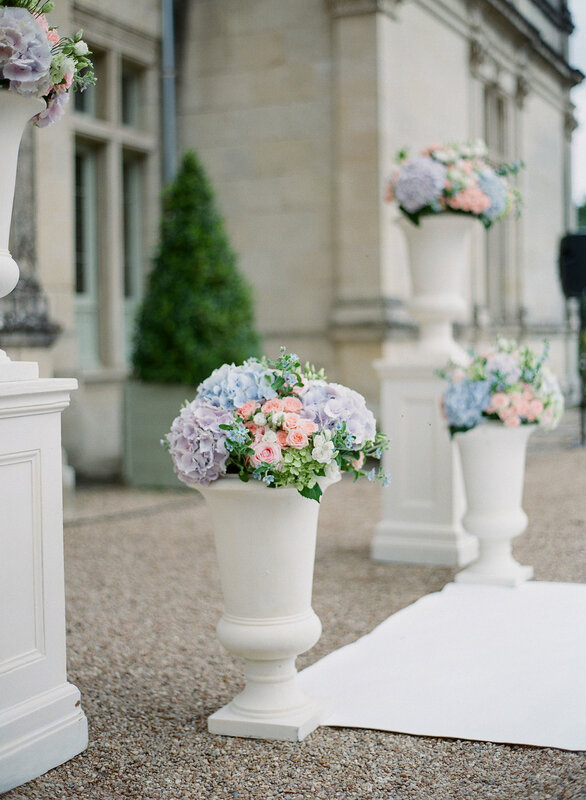 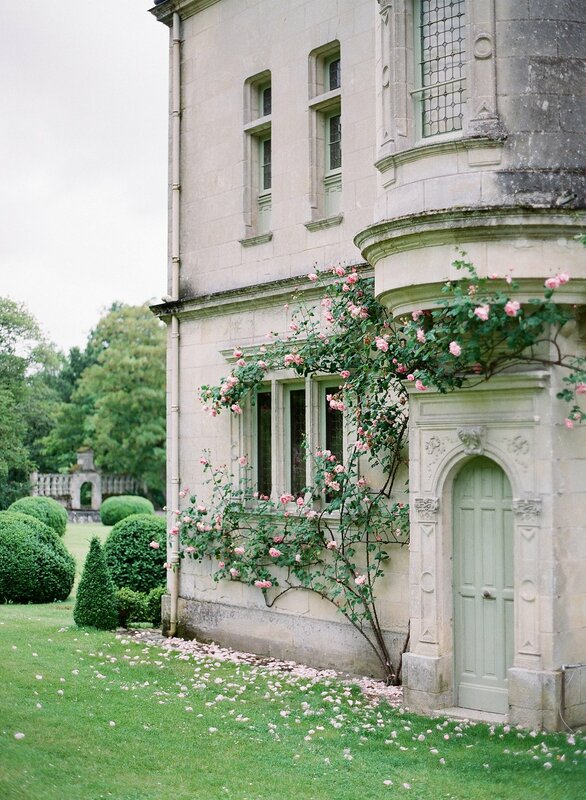 After a scouting trip where we visited several lovely wedding venues in the French countryside, the couple selected a beautiful Loire Valley castle for their wedding in France. 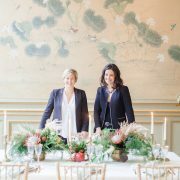 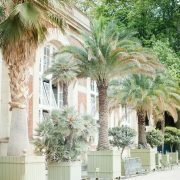 Since the Loire Valley is an easy trip from Paris, the couple decided to organize a welcome event in Paris at the historic Au Pied de Cochon brasserie on the Thursday before the wedding, allowing guests to enjoy a day of sightseeing in Paris the next day. 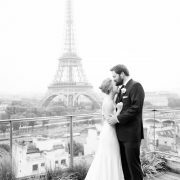 Bright and early on the wedding day the intimate group of guests met at the Paris Montparnasse train station for a quick 1-hour TGV ride to the Loire Valley. 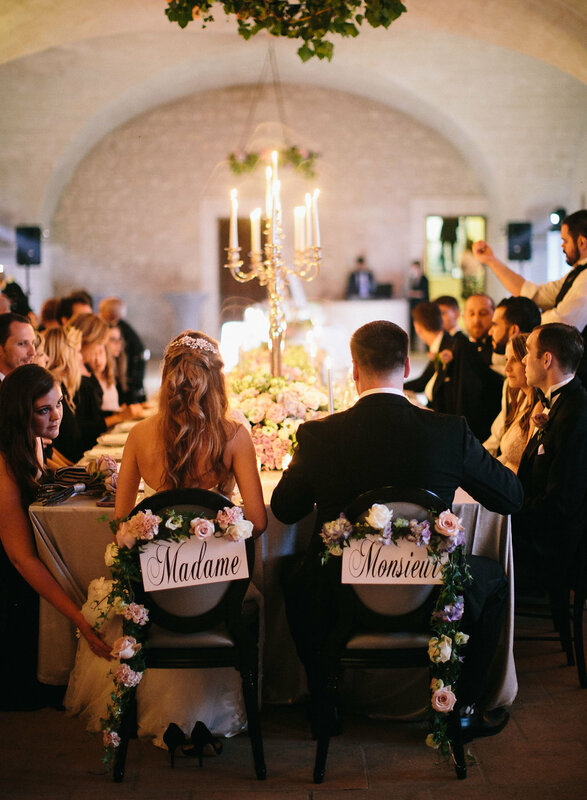 The wedding party had checked in to the château the previous night, and the bride and bridesmaids preparations were already underway when the excited guests arrived. 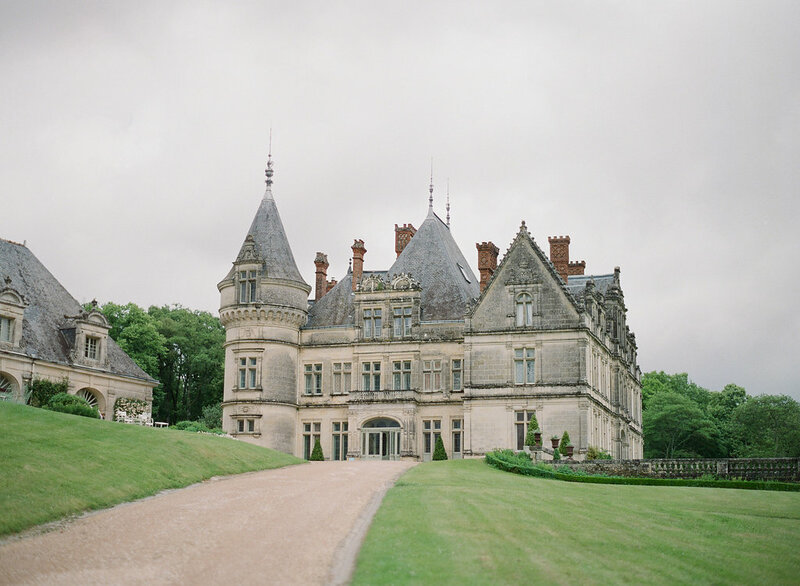 The skies were grey and there were definitely a few raindrops that fell during the day, but fortunately the weather held and the ceremony took place outside with the impressive castle facade as the backdrop. 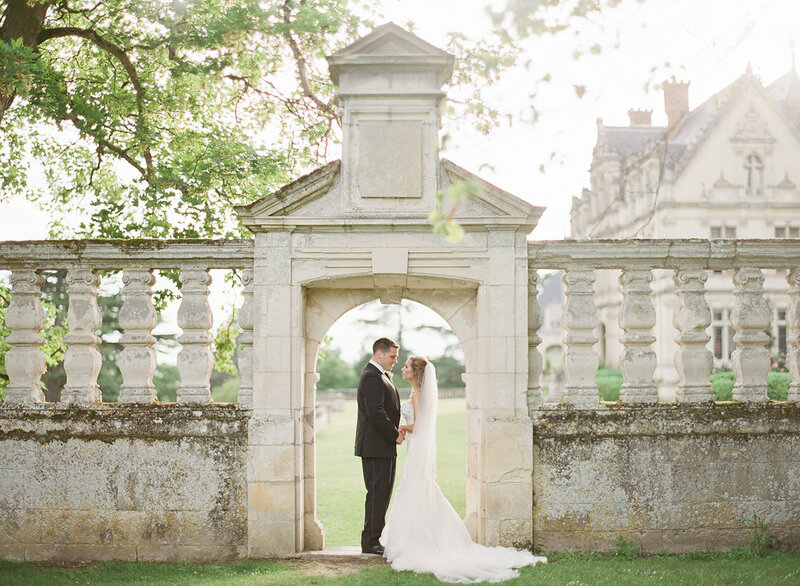 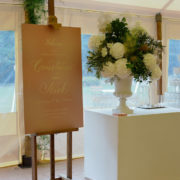 The couple even had a few lovely rays of sunshine as they took photos around the grounds after exchanging their vows. 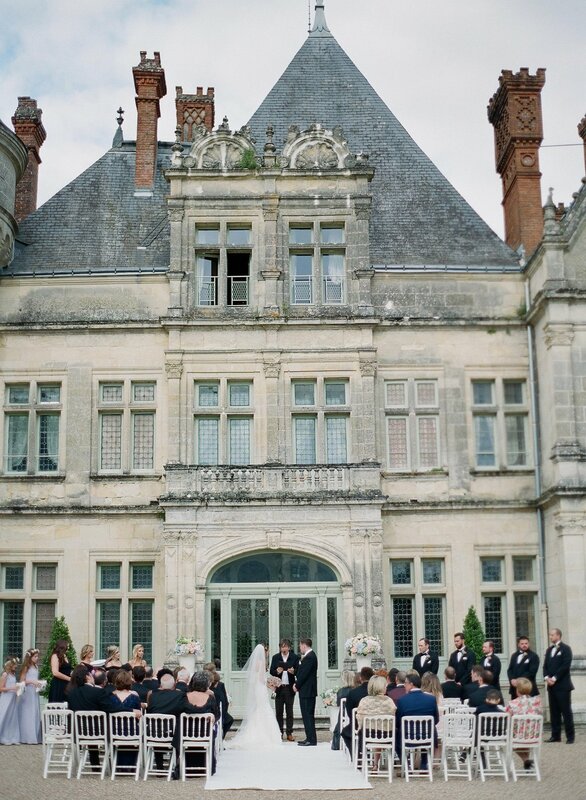 The reception took place in the château’s grand hall with its elegant vaulted ceilings. 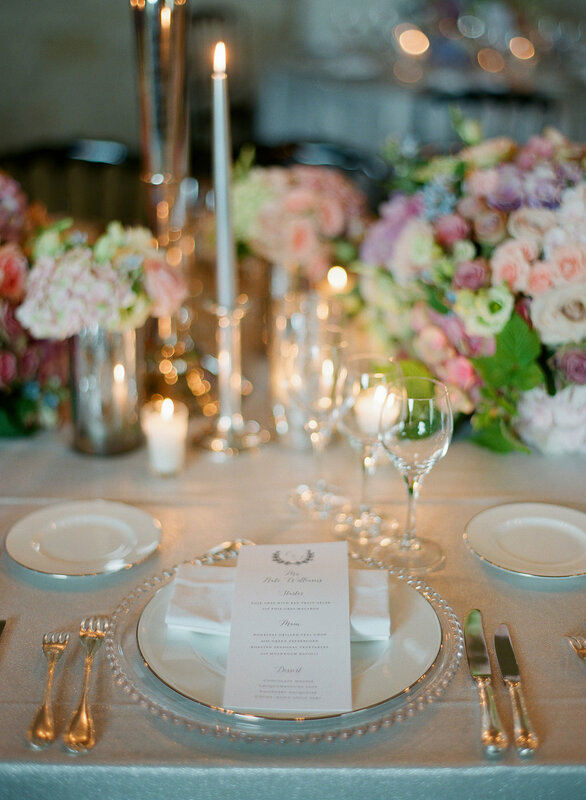 The color palette featured pastels in pink, blue and lavender, which touches of silver and black to keep it sophisticated. 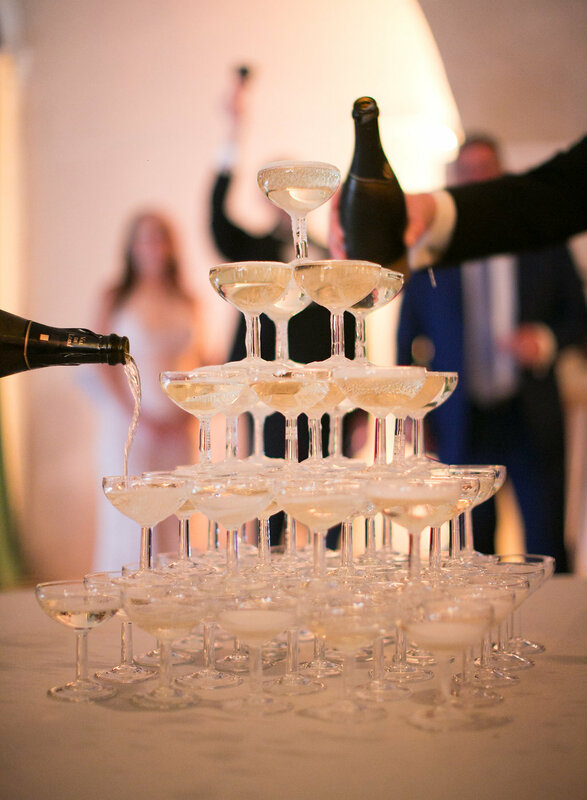 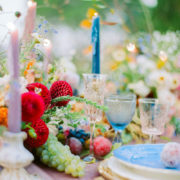 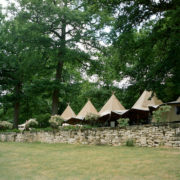 A menu featuring French delicacies – foie gras, locally sourced poultry, a French-style croquembouche wedding cake – and lots of local Touraine wine.